Generic term used in the case of polymeric material that may contain other substances to improve performance or reduce costs. In developed economies, about a third of plastic is used in packaging and roughly the same in buildings in applications such as piping, plumbing or vinyl siding. Other uses include automobiles (up to 20% plastic), furniture, and toys. In the developing world, the applications of plastic may differ—42% of India's consumption is used in packaging. To customize the properties of a plastic, different molecular groups "hang" from this backbone. These pendant units are usually "hung" on the monomers, before the monomers themselves are linked together to form the polymer chain. It is the structure of these side chains that influences the properties of the polymer. While most plastics are produced from petrochemicals, bioplastics are made substantially from renewable plant materials such: as cellulose and starch. Due both to the finite limits of the petrochemical reserves and to the threat of global warming, the development of bioplastics is a growing field. However, bioplastic development begins from a very low base and, as yet, does not compare significantly with petrochemical production. Estimates of the global production capacity for bio-derived materials is put at 327,000 tonnes/year. In contrast, global production of polyethylene (PE) and polypropylene (PP), the world’s leading petrochemical derived polyolefins, was estimated at over 150 million tonnes in 2015. 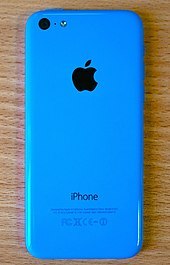 The development of plastics has evolved from the use of natural plastic materials (e.g., chewing gum, shellac) to the use of chemically modified, natural materials (e.g., natural rubber, nitrocellulose, collagen, galalite) and finally to completely synthetic molecules (e.g., bakelite, epoxy, polyvinyl chloride). Early plastics were bio-derived materials such as egg and blood proteins, which are organic polymers. In around 1600 BC, Mesoamericans used natural rubber for balls, bands, and figurines. Treated cattle horns were used as windows for lanterns in the Middle Ages. Materials that mimicked the properties of horns were developed by treating milk-proteins (casein) with lye. In the nineteenth century, as industrial chemistry developed during the Industrial Revolution, many materials were reported. The development of plastics also accelerated with Charles Goodyear's discovery of vulcanization to thermoset materials derived from natural rubber. 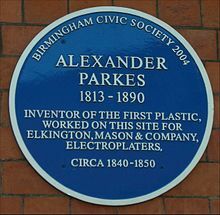 Blue plaque commemorating Parkes on the Birmingham Science Museum. Parkesine (nitrocellulose) is considered the first man-made plastic. The plastic material was patented by Alexander Parkes, in Birmingham, England in 1856. It was unveiled at the 1862 Great International Exhibition in London. Parkesine won a bronze medal at the 1862 World's fair in London. Parkesine was made from cellulose (the major component of plant cell walls) treated with nitric acid as a solvent. The output of the process (commonly known as cellulose nitrate or pyroxilin) could be dissolved in alcohol and hardened into a transparent and elastic material that could be molded when heated. By incorporating pigments into the product, it could be made to resemble ivory. In 1954, expanded polystyrene (used for building insulation, packaging, and cups) was invented by Dow Chemical. Polyethylene terephthalate (PET)'s discovery is credited to employees of the Calico Printers' Association in the UK in 1941; it was licensed to DuPont for the US and ICI otherwise, and as one of the few plastics appropriate as a replacement for glass in many circumstances, resulting in widespread use for bottles in Europe. Blended into most plastics are additional organic or inorganic compounds. The average content of additives is a few percent. Many of the controversies associated with plastics actually relate to the additives: organotin compounds are particularly toxic. Polymer stabilizers prolong the lifetime of the polymer by suppressing degradation that results from UV-light, oxidation, and other phenomena. Typical stabilizers thus absorb UV light or function as antioxidants. some fillers are more chemically active and are called: reinforcing agents. This infographic shows that there will (predicted) be more plastic in the oceans than fish by 2050. Most plastics are durable and degrade very slowly, as their chemical structure renders them resistant to many natural processes of degradation. There are differing estimates of how much plastic waste has been produced in the last century. By one estimate, one billion tons of plastic waste have been discarded since the 1950s. Others estimate a cumulative human production of 8.3 billion tons of plastic of which 6.3 billion tons is waste, with a recycling rate of only 9%. Much of this material may persist for centuries or longer, given the demonstrated persistence of structurally similar natural materials such as amber. The presence of plastics, particularly microplastics, within the food chain is increasing. In the 1960s microplastics were observed in the guts of seabirds, and since then have been found in increasing concentrations. The long-term effects of plastic in the food chain are poorly understood. In 2009, it was estimated that 10% of modern waste was plastic, although estimates vary according to region. Meanwhile, 50–80% of debris in marine areas is plastic. Prior to the Montreal Protocol, CFCs were commonly used in the manufacture of polystyrene, and as such the production of polystyrene contributed to the depletion of the ozone layer. Production of plastics from crude oil requires 62 to 108 MJ/Kg (taking into account the average efficiency of US utility stations of 35%). Producing silicon and semiconductors for modern electronic equipment is even more energy consuming: 230 to 235 MJ/Kg of silicon, and about 3,000 MJ/Kg of semiconductors. This is much higher than the energy needed to produce many other materials, e.g. iron (from iron ore) requires 20-25 MJ/Kg of energy, glass (from sand, etc.) 18–35 MJ/Kg, steel (from iron) 20–50 MJ/Kg, paper (from timber) 25–50 MJ/Kg. Controlled high-temperature incineration, above 850 °C for two seconds, performed with selective additional heating, breaks down toxic dioxins and furans from burning plastic, and is widely used in municipal solid waste incineration. Municipal solid waste incinerators also normally include flue gas treatments to reduce pollutants further. This is needed because uncontrolled incineration of plastic produces polychlorinated dibenzo-p-dioxins, a carcinogen (cancer causing chemical). The problem occurs because the heat content of the waste stream varies. Open-air burning of plastic occurs at lower temperatures, and normally releases such toxic fumes. Plastics contribute to approximately 10% of discarded waste. Depending on their chemical composition, plastics and resins have varying properties related to contaminant absorption and adsorption. Polymer degradation takes much longer as a result of saline environments and the cooling effect of the sea. These factors contribute to the persistence of plastic debris in certain environments. Recent studies have shown that plastics in the ocean decompose faster than was once thought, due to exposure to sun, rain, and other environmental conditions, resulting in the release of toxic chemicals such as bisphenol A. 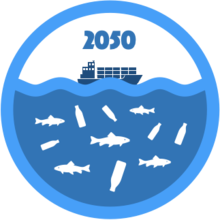 However, due to the increased volume of plastics in the ocean, decomposition has slowed down. The Marine Conservancy has predicted the decomposition rates of several plastic products. It is estimated that a foam plastic cup will take 50 years, a plastic beverage holder will take 400 years, a disposable nappy will take 450 years, and fishing line will take 600 years to degrade. In 2018, a survey by the Global Oceanic Environmental Survey (GOES) Foundation found that the ecosystem in seas and oceans may collapse in the next 25 years, potentially causing failure of terrestrial ecosystem and "very possibly the end of life on Earth as we know it "; the main agents of this prediction were hypothesized to be plastic, ocean acidification, and ocean pollution. In order to prevent such a catastrophe, experts have proposed a total single use plastic ban, wood burning bans while planting "as many trees as possible," "pollution-free recycling of electronics, and by 2030 all industries to be zero toxic discharge." One British scientist advocates "special protection and perservation of peat bogs, wetlands, marshlands and mangrove swamps to ensure carbon dioxide is absorbed from the atmosphere." Microbial species capable of degrading plastics are known to science, and some are potentially useful for the disposal of certain classes of plastic waste. Nylon mania came to an abrupt stop at the end of 1941 when the US entered World War II. The production capacity that had been built up to produce nylon stockings, or just nylons, for American women was taken over to manufacture vast numbers of parachutes for fliers and paratroopers. After the war ended, DuPont went back to selling nylon to the public, engaging in another promotional campaign in 1946 that resulted in an even bigger craze, triggering the so-called nylon riots. ^ Life cycle of a plastic product. Americanchemistry.com. Retrieved 2011-07-01. ^ a b c d e f g h i j k l Andrady AL, Neal MA (July 2009). "Applications and societal benefits of plastics". Philos. Trans. R. Soc. Lond. B Biol. Sci. 364 (1526): 1977–84. doi:10.1098/rstb.2008.0304. PMC 2873019. PMID 19528050. ^ American Chemical Society National Historic Chemical Landmarks. "Bakelite: The World's First Synthetic Plastic". Retrieved 23 February 2015. ^ Edgar, David; Edgar, Robin (2009). Fantastic Recycled Plastic: 30 Clever Creations to Spark Your Imagination. Sterling Publishing Company, Inc. ISBN 978-1-60059-342-0 – via Google Books. ^ Teegarden, David M. (2004). Polymer Chemistry: Introduction to an Indispensable Science. NSTA Press. ISBN 978-0-87355-221-9 – via Google Books. ^ Plastikos, Henry George Liddell, Robert Scott, A Greek-English Lexicon, at Perseus. Perseus.tufts.edu. Retrieved on 2011-07-01. ^ Plastic, Online Etymology Dictionary. Etymonline.com. Retrieved on 2011-07-01. ^ Ebbing, Darrell; Gammon, Steven D. (2016). General Chemistry. Cengage Learning. ISBN 978-1-305-88729-9. ^ Classification of Plastics Archived 2007-12-15 at the Wayback Machine. Dwb.unl.edu. Retrieved on 2011-07-01. ^ Gilleo, Ken (2004). Area Array Packaging Processes: For BGA, Flip Chip, and CSP. McGraw Hill Professional. ISBN 978-0-07-142829-3. ^ Kutz, Myer (2002). Handbook of Materials Selection. John Wiley & Sons. ISBN 978-0-471-35924-1. ^ Heeger, A.J. ; Schrieffer, J.R.; Su, W.-P.; Su, W. (1988). "Solitons in conducting polymers". Reviews of Modern Physics. 60 (3): 781–850. Bibcode:1988RvMP...60..781H. doi:10.1103/RevModPhys.60.781. ^ Brandl, Helmut; Püchner, Petra (1992). "Biodegradation Biodegradation of plastic bottles made from 'Biopol' in an aquatic ecosystem under in situ conditions". Biodegradation. 2 (4): 237–43. doi:10.1007/BF00114555. ^ Galie, Fabrizio (November 2016). "Global Market Trends and Investments in Polyethylene and Polyproplyene" (PDF). ICIS Whitepaper. Reed business Information, Inc. Retrieved 16 December 2017. ^ Fenichell, Stephen (1996). Plastic : the making of a synthetic century. New York: HarperBusiness. p. 17. ISBN 978-0-88730-732-4. ^ "Dictionary – Definition of celluloid". Websters-online-dictionary.org. Archived from the original on 2009-12-11. Retrieved 2011-10-26. ^ a b Christel Trimborn (August 2004). "Jewelry Stone Make of Milk". GZ Art+Design. Retrieved 2010-05-17. ^ a b Thompson RC, Swan SH, Moore CJ, vom Saal FS (July 2009). "Our plastic age". Philos. Trans. R. Soc. Lond. B Biol. Sci. 364 (1526): 1973–76. doi:10.1098/rstb.2009.0054. PMC 2874019. PMID 19528049. ^ "Historical Overview and Industrial Development". International Furan Chemicals, Inc. Retrieved 4 May 2014. ^ a b Tullo, Alexander H. (27 July 2015). "Global Top 50 Chemical Companies". Chemical & Engineering News. American Chemical Society. Retrieved 27 October 2015. ^ a b c Teuten EL, Saquing JM, Knappe DR, et al. (July 2009). "Transport and release of chemicals from plastics to the environment and to wildlife". Philos. Trans. R. Soc. Lond. B Biol. Sci. 364 (1526): 2027–45. doi:10.1098/rstb.2008.0284. PMC 2873017. PMID 19528054. ^ Kulshreshtha, A. K.; Vasile, Cornelia (2002). Handbook of Polymer Blends and Composites. iSmithers Rapra Publishing. ISBN 978-1-85957-249-8. ^ a b Seymour, Raymond Benedict; Deaning, Rudolph D. (1987). History of Polymeric Composites. VSP. p. 374. ^ Hahladakis, John N.; Velis, Costas A.; Weber, Roland; Iacovidou, Eleni; Purnell, Phil (February 2018). "An overview of chemical additives present in plastics: Migration, release, fate and environmental impact during their use, disposal and recycling". Journal of Hazardous Materials. 344: 179–199. doi:10.1016/j.jhazmat.2017.10.014. PMID 29035713. ^ a b c McRandle, P.W. (March–April 2004). "Plastic Water Bottles". National Geographic. Retrieved 2007-11-13. ^ Yang, Chun Z.; Yaniger, Stuart I.; Jordan, V. Craig; Klein, Daniel J.; Bittner, George D. (2 March 2011). "Most Plastic Products Release Estrogenic Chemicals: A Potential Health Problem That Can Be Solved". Environmental Health Perspectives. 119 (7): 989–96. doi:10.1289/ehp.1003220. PMC 3222987. PMID 21367689. ^ Rubin, BS; Murray, MK; Damassa, DA; King, JC; Soto, AM (July 2001). "Perinatal exposure to low doses of bisphenol A affects body weight, patterns of estrous cyclicity, and plasma LH levels". Environmental Health Perspectives. 109 (7): 675–80. doi:10.2307/3454783. JSTOR 3454783. PMC 1240370. PMID 11485865. ^ Alonso-Magdalena, Paloma; Morimoto, Sumiko; Ripoll, Cristina; Fuentes, Esther; Nadal, Angel (January 2006). "The Estrogenic Effect of Bisphenol A Disrupts Pancreatic β-Cell Function In Vivo and Induces Insulin Resistance". Environmental Health Perspectives. 114 (1): 106–12. doi:10.1289/ehp.8451. PMC 1332664. PMID 16393666. Archived from the original on 2009-01-19. ^ Weisman, Alan (2007). The world without us. New York: Thomas Dunne Books/St. Martin's Press. ISBN 978-1-4434-0008-4. ^ Geyer, Roland; et al. (19 July 2017). "Production, use, and fate of all plastics ever made". Science Advances. 3 (7): e1700782. Bibcode:2017SciA....3E0782G. doi:10.1126/sciadv.1700782. PMC 5517107. PMID 28776036. ^ a b c d Barnes DK, Galgani F, Thompson RC, Barlaz M (July 2009). "Accumulation and fragmentation of plastic debris in global environments". Philos. Trans. R. Soc. Lond. B Biol. Sci. 364 (1526): 1985–98. doi:10.1098/rstb.2008.0205. PMC 2873009. PMID 19528051. ^ Levis, James W.; Barlaz, Morton A. (July 2011). "Is Biodegradability a Desirable Attribute for Discarded Solid Waste? Perspectives from a National Landfill Greenhouse Gas Inventory Model". Environmental Science & Technology. 45 (13): 5470–76. Bibcode:2011EnST...45.5470L. doi:10.1021/es200721s. PMID 21615182. ^ "The monster footprint of digital technology". Low-Tech Magazine. Retrieved 2017-04-18. ^ "How much energy does it take (on average) to produce 1 kilogram of the following materials?". Low-Tech Magazine. 2014-12-26. Retrieved 2017-04-18. ^ Halden, RU (2010). "Plastics and Health Risks". Annual Review of Public Health. 31: 179–94. doi:10.1146/annurev.publhealth.012809.103714. PMID 20070188. ^ The Hindu Dec. 12, 2005. Retrieved on 2011-07-01. ^ Chemical Society, American. "Plastics In Oceans Decompose, Release Hazardous Chemicals, Surprising New Study Says". Science Daily. Science Daily. Retrieved 15 March 2015. ^ Le Guern, Claire (March 2018). "When The Mermaids Cry: The Great Plastic Tide". Coastal Care. Archived from the original on 5 April 2018. Retrieved 10 November 2018. ^ MURRAY, PAULA (2018-12-23). "'We've 10 years to save the seas or life on earth will become impossible'". Express. Retrieved 3 January 2019. ^ a b Yutaka Tokiwa; Buenaventurada P. Calabia; Seiichi Aiba (September 2009). "Biodegradability of Plastics". International Journal of Molecular Sciences. 10 (9): 3722–44. doi:10.3390/ijms10093722. PMC 2769161. PMID 19865515. ^ Jonathan R. Russell; Jeffrey Huang; Scott A. Strobel (September 2011). "Biodegradation of Polyester Polyurethane by Endophytic Fungi". Applied and Environmental Microbiology. 77 (17): 6076–84. doi:10.1128/aem.00521-11. PMC 3165411. PMID 21764951. ^ Russell, Jonathan R.; Huang, Jeffrey; Anand, Pria; Kucera, Kaury; Sandoval, Amanda G.; Dantzler, Kathleen W.; Hickman, Dashawn; Jee, Justin; Kimovec, Farrah M.; Koppstein, David; Marks, Daniel H.; Mittermiller, Paul A.; Núñez, Salvador Joel; Santiago, Marina; Townes, Maria A.; Vishnevetsky, Michael; Williams, Neely E.; Vargas, Mario Percy Núñez; Boulanger, Lori-Ann; Bascom-Slack, Carol; Strobel, Scott A. (July 2011). "Biodegradation of Polyester Polyurethane by Endophytic Fungi". Applied and Environmental Microbiology. 77 (17): 6076–84. doi:10.1128/AEM.00521-11. PMC 3165411. PMID 21764951. ^ "Deep Geologic Repository Project" (PDF). Ceaa-acee.gc.ca. Retrieved 2017-04-18. ^ Roy, Robert (2006-03-07). "Immortal Polystyrene Foam Meets its Enemy". Livescience.com. Retrieved 2017-04-18. ^ Ward, PG; Goff, M; Donner, M; Kaminsky, W; O'Connor, KE. (2006). "A two step chemo-biotechnological conversion of polystyrene to a biodegradable thermoplastic". Environmental Science and Technology. 40 (7): 2433–37. Bibcode:2006EnST...40.2433W. doi:10.1021/es0517668. PMID 16649270. ^ Cacciari I; Quatrini P; Zirletta G; Mincione E; Vinciguerra V; Lupattelli P; Giovannozzi Sermanni G (1993). "Isotactic polypropylene biodegradation by a microbial community: physicochemical characterization of metabolites produced". Applied and Environmental Microbiology. 59. ^ a b Ishtiaq Ali, Muhammad (2011). Microbial degradation of polyvinyl chloride plastics (PDF) (Ph.D.). Quaid-i-Azam University. p. 76. ^ "CanadaWorld – WCI student isolates microbe that lunches on plastic bags". The Record.com. Archived from the original on 2011-07-18. ^ Hadad D; Geresh S; Sivan A (2005). "Biodegradation of polyethylene by the thermophilic bacterium Brevibacillus borstelensis". Journal of Applied Microbiology. 98 (5): 1093–100. doi:10.1111/j.1365-2672.2005.02553.x. PMID 15836478. ^ Gwyneth Dickey Zaikab (March 2011). "Marine microbes digest plastic". Nature. doi:10.1038/news.2011.191. ^ Chetna Sharon; Madhuri Sharon (2012). "Studies on Biodegradation of Polyethylene terephthalate: A synthetic polymer" (PDF). Journal of Microbiology and Biotechnology Research: 248–57. ^ "Fungus eats CD". Nature. 2001. ^ "Fungus 'eats' CDs". BBC. June 2001. ^ Gusse AC; Miller PD; Volk TJ (July 2006). "White-rot fungi demonstrate first biodegradation of phenolic resin". Environmental Science and Technology. 40 (13): 4196–99. Bibcode:2006EnST...40.4196G. doi:10.1021/es060408h. PMID 16856735. ^ Cappitelli F; Principi P; Sorlini C. (Aug 2006). "Biodeterioration of modern materials in contemporary collections: can biotechnology help?". Trends in Biotechnology. 24 (8): 350–54. doi:10.1016/j.tibtech.2006.06.001. PMID 16782219. ^ Andrea Rinaldi (November 7, 2006). "Saving a fragile legacy. Biotechnology and microbiology are increasingly used to preserve and restore the worlds cultural heritage". EMBO Reports. 7 (11): 1075–79. doi:10.1038/sj.embor.7400844. PMC 1679785. PMID 17077862. ^ "Solvay, asking more from chemistry" (PDF). ^ "Implementation of the PVC policy". The London Organising Committee of the Olympic Games and Paralympic Games Limited. Retrieved October 24, 2012. ^ Jezek, Geno. "What is Vinyl?". Retrieved 9 January 2011. ^ "Polyvinyl chloride". Plasticsusa.com. Archived from the original on 15 July 2011. Retrieved 9 January 2011. ^ Salocks, Charles & Kaley, Karlyn Black (2 February 2004). "Technical Support Document: Toxicology of Hydrogen Chloride (Revised)" (PDF). California EPA, Office of Environmental Health Hazard Assessment. p. 8. Archived from the original (PDF) on 4 November 2010. Retrieved 9 January 2011. ^ "How can I preserve my family photographs for my grandchildren?". The Library of Congress Preservation FAQs. LoC. Retrieved 9 January 2011. ^ Kinnane, Adrian (2002). DuPont: From the banks of the Brandywine to miracles of science. Baltimore, MD: Johns Hopkins University Press. pp. 116–125. ISBN 978-0-8018-7059-0. Wikimedia Commons has media related to Plastics. This page was last edited on 28 March 2019, at 23:38 (UTC).